The only annual tide chart that shows tides and daylight to scale. Easier to read and with more information for anglers, surfers, swimmers and beach lovers. Weekly tide charts for every coast in Australia for publication by websites and newspapers. Printed annual calendars for NSW and Victoria. To purchase printed Ocean Calendar tide charts visit our new online store. Retail and wholesale details below. Website and newspaper editors may contact us here. To purchase Ocean Calendar tide charts visit our online store. Pay by credit card or Paypal. Discount for purchase of three or more. Ocean Calendars are available in coastal newsagencies and at selected surf, tackle and boating outlets. For wholesale inquiries email here. Newsagent and sub agent distribution by Gordon and Gotch Ph 1300 650 666 . Boats, fish, beaches and waves are all affected by the tides but few people know how tides really work. Extra low tides can cause problems for boating, but they can be a blessing for fisherman and beachcombers. Many waves surf better on a low tide. Some waves only work on a high tide. And it is common knowledge among fisherman that a change of tide is a good time to fish. The still water around tide changes also makes for good diving, snorkeling and swimming. The tides are caused primarily by the gravitational pulls of the moon and the sun in relation to the gyration of the earth. The moon has about twice the pull of the sun. The high tide is a bulge in the ocean as the earth passes beneath the moon. There is an equivalent bulge on the opposite side of the earth to the moon. So in 24 hours, any given spot on earth, or the ocean, passes twice beneath the pulling power of the moon. That’s why along many, but not all, coasts there are two high tides and two low tides in a roughly 24-hour period. The tide (or the expansion in the ocean) responds to the moon, but the moon also orbits, moving around the earth, in the same direction as the earth, every 27.3 sidereal days. This means it moves 13 degrees (out of 360 degrees) every earth day. Which equates to about 52 minutes. That is why the moon appears to rise 52 minutes later each day, and the tides occur around 50 minutes later each day. The moon pulls up a high tide, so if you are out at sea, and the moon is directly above, you know it will soon be high tide. Along coasts that run north-south and are exposed to the open ocean, the high tide will flood in at roughly the same time. What do the tides cause? The ocean and everything in it is linked to the tides and thereby, to the passage of the moon. Marine life, spawning, rock pools, reefs, beaches and baths are all affected. Stronger rips, larger waves, more debris, and more erosion on higher and rising tides, just for example. And cultures throughout history acknowledge the new moon and new moon to first quarter phase as a good time to fish, to plant, and even to do business. Fish spawn to cycles of the moon and many species spawn on or around the full moon, which in turn, is why smart anglers fish around the new moon. Polynesians named their days after the moon cycle and fished for certain species on certain days. Some prefer the days before a new moon; some find better catches in the days after. Some people find the moon makes little difference. One friend who kept a four year diary of his catches, found that his strike rate was pretty even across the month, but notably worse in the last quarter phases, after the full moon. But tide changes are great times to fish. Sunrise and sunset are also good times to fish. The adage about sharks being about at sunrise and sunset also applies to other fish, and animals in general, who like us, prefer to eat around sunset. Accordingly, if you can line up a tide change, with sunrise or sunset, and especially around a new moon, you have the best possible conditions for catching fish. Better than any other table, The Ocean Calendar allows people to do this easily. Prawning is best on outgoing tides after dark around a new moon. Again, it’s easy with this calendar to find those nights. The NSW surf life saving association found that 75 per cent of rescues occurred during rising and high tides. That’s partly because rips are stronger on those tides, and people are caught out by them. Low tides are also great times to enjoy the beach, because there is more beach to enjoy, and, depending on the beach and the waves, it is often safer swimming. The rock pools are exposed more on a big low tide. They may be more likely to catch marine animals after a big high tide. Beachcombing can be best on the low tide after a big high tide. Rips and currents are affected most by wave size but also by tides. If the waves are big enough (over head) height, there will be at least one rip somewhere along every beach. 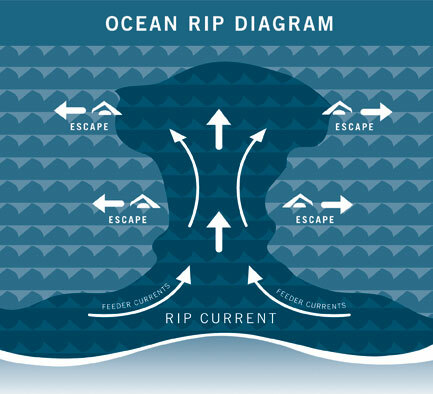 When the tide is running out, rips can be stronger, as more water is heading out to sea. Therefore a slightly safer time to swim is on a low tide coming in. Rips account for an estimated 90 per cent of drownings. It is incredible that many Australian do not know how to spot rips or deal with them. High-pressure systems depress the ocean and cause lower than predicted tides. So in Summer, when there are more high pressure systems, especially during hotter days and weeks, the tides will be extra low. Conversely, low-pressure systems allow the ocean to swell or rise and cause higher than predicted tides. (It will intrigue fisherman and surfers to know that every millibar of pressure difference equates to one centimetre in ocean height.) On shore winds and large waves, also force more water to shore and cause higher than predicted tides and earlier than predicted. Off shore winds and low swells reduce and delay the tides. 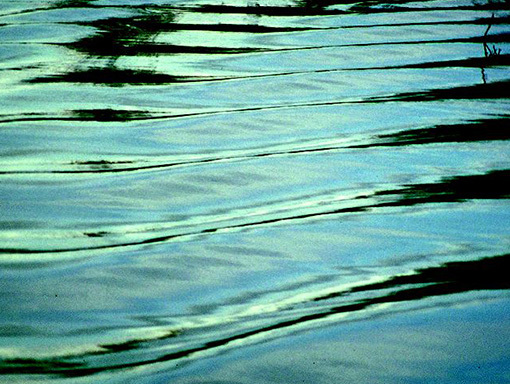 What’s the difference between spring tides, king tides and tsunamis? When sun and moon and earth are in a line, around full moon and new moon, the gravitation pull on the ocean is greatest. That means, around full and new moons, and in fact, just after the full and new moon because the ocean takes a bit to catch up, the tides are the most extreme. We call these fortnightly tides, “Spring” tides, and the more average fortnightly tides, during quarter moon phases, “Neap” tides. But better names would be “big moon tides” and “halfmoon tides”. (You can see the effect of the moon phases on The Ocean Calendar. You can also see how every second tide in a 24-hour period is lower). King tides are just extremely high Spring tides. The highest Spring tides occur twice a year, during the day in on of the summer months and during the night in winter months. Which month depends on when the moon is closest to the earth and the earth is closest (or furthest) from the Sun. In addition, large Spring tides can be caused by very low-pressure systems, big swells, waves and on shore winds. These weather conditions may occur out to sea and still increase in shore tides. What do spring and king tides mean for ocean sport lovers? During spring or extreme tides, water rushes in and out faster. This causes stronger rips and currents and has a greater effect on the size of waves and the movement of fish. On the Ocean Calendar, you can see that some months and some moons have more extreme tides than others. It is also possible to see that the most extreme tides occur in the days AFTER the full and new moons, not before. Every inlet or estuary has different delays according to the width of the opening to the ocean. Inlets and river mouths delay the tide times by minutes or hours according to the width and depth of their opening to the sea. The further up river, the longer the delay, and the smaller the tide height range. River mouths in general, reduce the tide height range upriver. So the tide height range up the Clarence River is less than on the ocean beaches. The ocean tides take, on average, 2 hours to reach Maclean. But this delay, supplied by the Manly Hydraulics Laboratory, is an annual average only. All average delays, especially those over one hour, will vary considerably from week to week and even day to day. If the river mouth silts up, and there is a high-pressure system overhead, tides may be delayed more than two hours, for example. So open ocean and coastal tide times remain more accurate, than tide times for rivers and bays. There are many ways that different beach and ocean lovers (and professional anglers and seafood farmers) use the tides, and we at Ocean calendars are keen to collate all stories. We know a kayaker who uses The Ocean Calendar to explore little creeks on the Hawkesbury on very high tides. We know anglers who target rocks and reefs that are only accessible on the lowest of tides. And surfers who surf breaks for a short while on the highest tides. We invite all readers and listeners to send in comments, observations and questions. Rips are not dangerous if you know what to do but most Australians do not know how to spot a rip and panic when they get caught in one. A rip is a narrow channel of water that streams out from the beach through the wave zone, sometimes at an angle, back to sea. Rips form because water rushing in to shore must force a path or channel back out to sea. Rips are channels of water about 10 to 20 metres wide – no wider. Their position can vary with the tide and wave conditions. If you are caught in one, all you have to do is swim across, parallel to the shore or the horizon, until the pull diminishes, and you can swim back into the shore. Just don’t try to swim directly against the current. One is to swim between the red and yellow flags on patrolled beaches. The other is to look for rips, preferably from atop the dunes, before you decide where to swim. Waves rarely break in rips so a constant break in the lines of whitewater, or consistently smaller waves, can be signs of a rip. 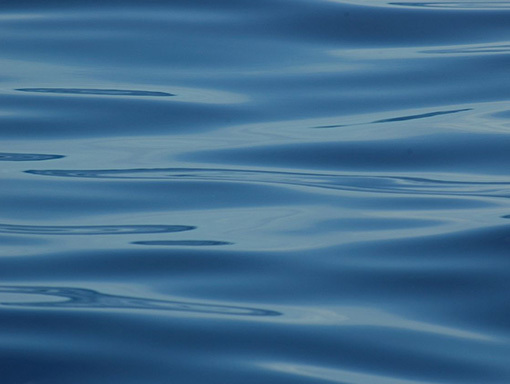 The surface of the water in rips is choppier than the surrounding water. It looks agitated. Rips often occur close to reefs, headlands or rocky bluffs. The bigger the waves, the stronger will be the rips. Rips can change position during the day and are often worse on rising tides. Once you have spotted rips, and there is often more than one along a beach, choose a place a good distance away for swimming. Rips are widest closest to shore. But if you feel yourself being pulled out by one, don’t panic, be patient. Rips never go more than about 150 metres out to sea. Wave for assistance then calmly swim across shore until out of the pull of the rip (or among breaking waves) so you can swim back to shore. Tsunamis were once wrongly called “tidal waves”. Tsunamis are caused by seismic disturbances underneath the ocean or on land near the ocean. These can be faults, tremors, landslides or volcanic eruptions. On rare occasions they have been caused by meteors crashing into the ocean. Tsunamis are waves – shock waves. They have nothing to do with tides which are caused by astronomical orbits. Tsunamis have nothing to do with tides. However, if the Ocean Calendar shows a rising tide, and the tide is going out, or the Ocean Calendar shows a falling tide, but the tide is coming in, you know something is seriously wrong with the ocean. Look no further. Order your Ocean Calendar today.